With the recent North American tour announcement Cazzette has been keeping busy and releasing bootlegs is the easiest way to keep fans happy while touring. 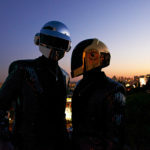 Their newest track is a mashup between their unreleased song “Make Some Room” and “Technologic” by Daft Punk. The two tracks combine to bring you familiar lyrics with hard electro sounds and an addition of a progressive melody on top. Cazzette produces music that really sets them apart. Hopefully they take a break from touring soon and spend some time in the studio, because the thought of Cazzette and Avicii producing a track together makes us shudder. No release date or label has been announced.